Ferrite beads are used for RF decoupling and parasitic suppression. When placed over a wire, cable or coaxial cable they suppresses common mode current flowing on the wire or wire bundle or the outside of the coax shield but does not affect the signal inside the coax cable or wire (differential current). 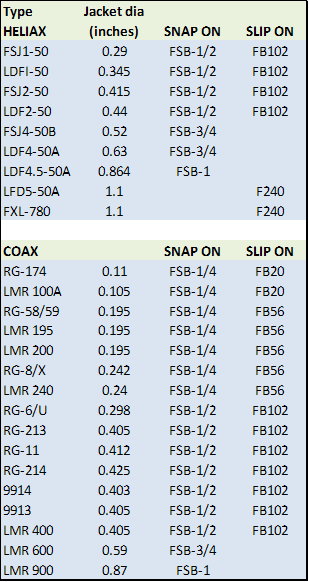 For RFI common mode suppression use, mix 31 is effective from 1-300 Mhz, mix 43 works from 25-300 Mhz, Mix 61 is for 200-2000 Mhz, and mix 77 favors .1-50 MHz.These frequencies are those of the interfering signal to be eliminated, not the operating frequencies of the equipment to be protected. See Mix Selection for other applications.